Panasonic has announced the new Panasonic Lumix FT3 – a compact, “tough” camera, with GPS, it is waterproof to 12 metres, sand/dustproof, freezeproof to -10C, shockproof to 2m, (bombproof?) and features a 12.1 megapixel sensor, a wide angle 4.6x optical zoom lens (28-128mm), 2.7″ screen, optical image stablisation, 3D photo mode, 1920 x 1080 Full-HD Movie Recording, 3.7fps shooting, GPS, and compass, altimeter and barometer. 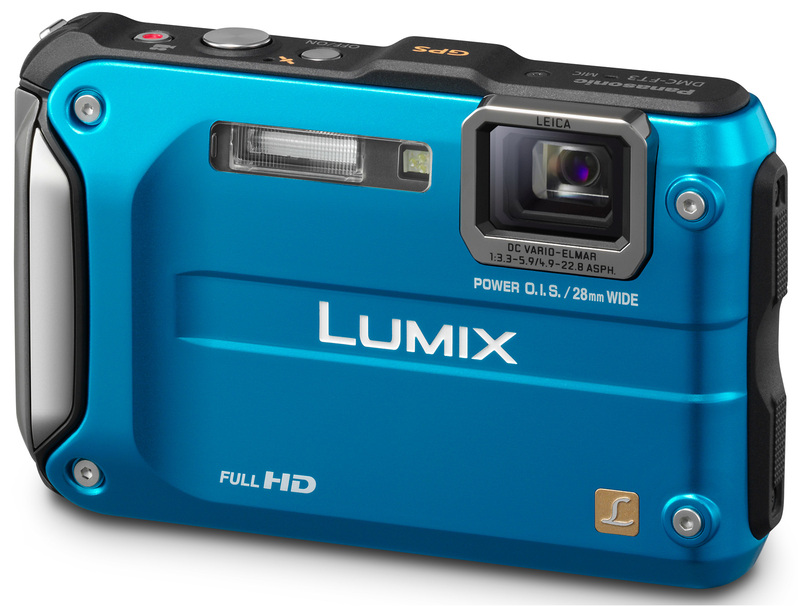 The Panasonic Lumix FT3 will be available in blue or red, on the 14th of March from Amazon UK. “The LUMIX DMC-FT3, is specially geared for active outdoor use, incorporating more powerful features in an even more rugged design. Every aspect of the 12.1-megapixel FT3 has been toughened and it is waterproof to a depth of 12m and dustproof equivalent to the “IPX8” and “IPX6” standard. Thanks to rubber padding and reinforced glass resins inside the camera, the FT3 features an airtight body protected against water immersion, dust and sand. The built-in GPS function, compass, altimeter and barometer are all newly incorporated and add further to the camera’s versatility and usability as an outdoor tool. The LEICA DC VARIO-ELMAR lens on the FT3 has a folded optics design and boasts not only a high quality image but also rugged design. Starting at the 28mm wide angle, and zooming up to a useful 4.6x in telephoto, this camera gives you flexibility in many shooting conditions — especially underwater, where movement is often restricted and the angle of view becomes important for composing your shots.